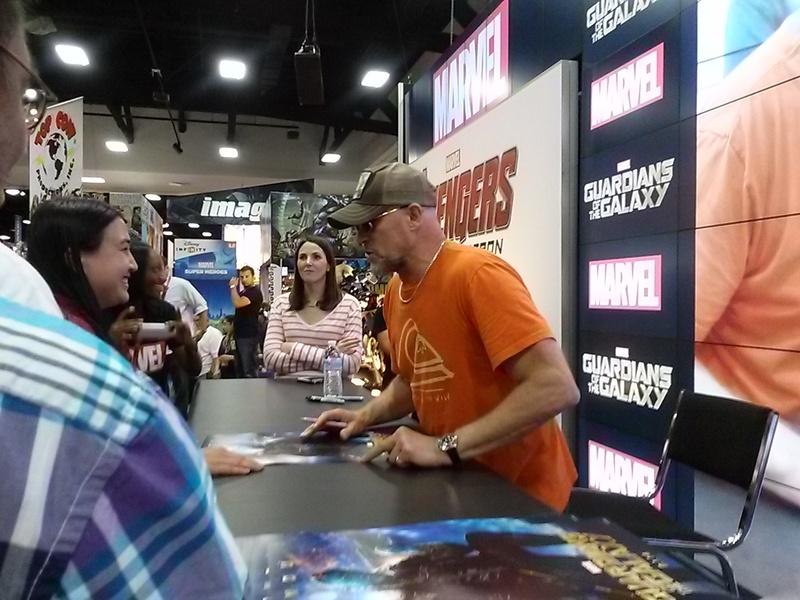 I met Michael Rooker. It was a complete accident. I was in the right place at the right time (ie at the Marvel Booth) and he was signing and I was pulled from the crowd to meet him. He was awesome. Rooker is playing the nemesis Yondu in the new Marvel movie Guardians of the Galaxy. You might know him as Merle from The Walking Dead. You never know who you might run into on the Exhibit Hall floor. I apologize in advance for not having pictures. But sometimes you don’t know that you’re about to see someone famous. Today’s list includes the cast from the upcoming Agents of Shield spinoff, Agent Carter; Lou Ferigno of Hulk fame, Hulk Hogan, Mike Tyson (who has a cartoon coming out…), and M. Night Shyamalan. You never know who you’ll see. And that’s why you have to pay attention at all times!